New graphics for the 90% of the units. 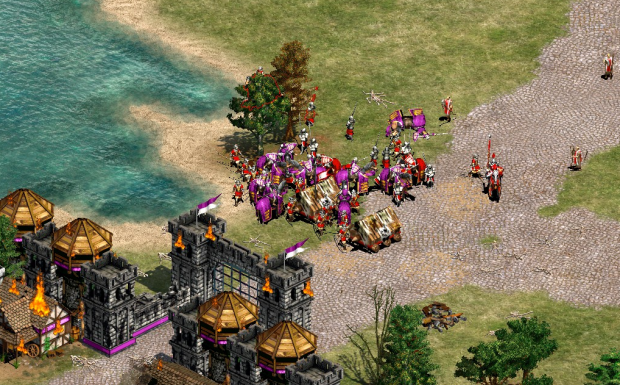 In futures patches it will include, villagers, siege weapons and monks. This mod is a simple graphic re-skin so you will not have any troubles with data sync in multiplayer, it works like a simple texture pack. This mod will give you unique graphics for all the units. All the graphics have been designed acording to concept art posted by the Aok Heavens community to be historical accurated but also try to look good enough to justify the re-skin. The siege units will be replaced by adding new graphics and units pushing and manipulating the siege engine. The villagers are going to be replaced too giving them unique graphics every time they switch tasks. Depending on the succed of the mod with the help of some of the best data editing of Aok heavens it would be possible to add complete sets of unit for every building set having 5 different unit sets to match their buildings. creo que el mod ya no funciona pero si aun funciona amigo te quiero decir que el mod esta bien hecho cada detalle es impresionante pero podrias hacer lo mismo con las unidades que faltan de el forgotten y las unidades de asedio? It's a shame, I really wanted to use those villagers. Alright so here is what you have to do, to enjoy the new units. Firstly download this mod, put it somewhere, like a desktop. Now open your game directory then go \resources\_common\drs and back up both graphics and interface folders in case you ever want to reverse the changes. I just copied both folders to desktop and renamed them to graphics BACKUP and interface BACKUP and moved them back into the same folder. Since you have backup, we can finally move on. Now once you got the tools, extract them and launch the Turtle Pack, select DRS editor 1.6.3. 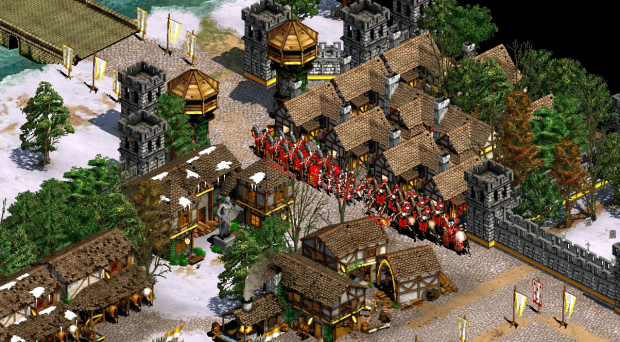 Extract your downloaded graphics mod AoE2 HD re-skin to the desktop, open it and go to Re-reskin mod. Now drag graphics.drs file to your opened turtlepack editor, or just open the file in the Turtlepack editor and you should see a list of files, if you inspect them, you can actually see new unit sprites. Now in the turtlepack editor, go to the Edit(E) option and press Select all, then go to Edit(E) again and select Extract file(E) or just press CTRL+E. Now you will be asked location where to extract the files. I recommend making some New Folder on desktop and just extract files there, since there will be 1768 files. Once you extract all those 1768 files, just copy all of them and move them to \resources\_common\drs\graphics folder. You will be asked to overwrite, do it with all files. Now do the same thing with interfac file and move all those extracted interfac files to your \resources\_common\drs\interface folder, overwrite. If you did everything right, when you enter the game, you will see new units, both in normal games and in map editor. Hope this helps. I have downloaded it through torrent and i have no clue on where to install them !! Can anyone hlp!! The HD texture are great! how to Installing aoe2 HD? I love the unit graphics!